We've been experiencing the common cold around my house for a little while now. It has to run its course, and the over-the-counter medicines we tried either didn't help or caused some side effects. Living in a region where the February weather has bipolar disorder (78 one day, 57 the next, for an example), the common cold is... well, common! It's just a fact of life! 1. 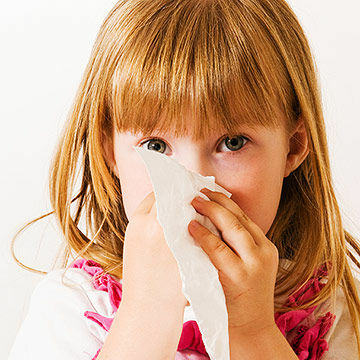 Over 200 viruses can cause cold symptoms such as sneezing, coughing, sore throat, and sinus congestion. 200! 2. In the United States alone, there are over 1 billion cases of a cold each year. BILLION! 3. The most common virus (out of the 200) is also more common in the spring, summer, and early fall. 4. Cold-causing germs can live for two days outside the human body. 5. Coughing, sneezing, or even talking can release respiratory droplets into the air (you probably knew that). The droplets can travel up to six feet. That's a safe distance to be if you must be near someone who is sick. 6. This also explains why we get colds more near the Gulf coast: High humidity propels droplets more quickly than low humidity. 7. Vitamin C has NOT been proven to help a cold in any way. 8.The common cold received its name is the 1500's because the symptoms of the virus were similar to symptoms people would get when they were out in cold weather. 9. In the United States, doctor visits for the common cold number 75-100 million per year. 10. Parents miss about 126 million days of work to take care of their children. 11. Feed a cold and starve a fever, an old saying, is actually poor advice. 12. Studies on whether Zinc helps a cold have been inconclusive. 13. Scientists have been able to sequence the entire genome of the major rhinoviruses, so there may someday be a cold vaccine! A cold vaccine. Well, they have one for pneumonias, so maybe the cold is next. So far I've been lucky in that the only two colds I've had over the winter months were short-lived -- unlike last winter when I was sick for three months. Cool post on a hot topic. Thanks.